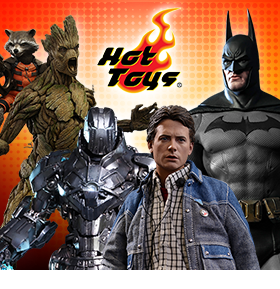 Toy Nippon: BBTS News: Transformers Devastator, Marvel Play Arts Kai, Hot Toys, Lotr, DC, Star Wars & More! 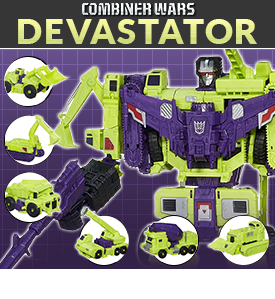 BBTS News: Transformers Devastator, Marvel Play Arts Kai, Hot Toys, Lotr, DC, Star Wars & More! John Hughes' 1980s comedy The Breakfast Club defined a generation and brought stardom to its cast of high school students punished with detention. Andrew, Brian, Claire, John, Allison, and Richard Vernon (the Principal) join the POP! vinyl figures collection. These cute little alarm clocks are nearly 8 inches tall, have an easy read LCD display and feature a glowing head alarm function. Each clock has articulated arms and hands and the snooze can be activated by pressing the head down. We have Spider-Man, Chewbacca, Yoda, and Darth Vader to choose from. The tiara was Sailor Moon’s first weapon for her Moon Frisbee and Moon Twilight Flash attacks. These flex-fit plastic costume tiaras feature a plastic gem in the center of the gold “V”. Choose from Sailor Moon, Sailor Mars, Sailor Jupiter, Sailor Mercury and Sailor Venus…or collect them all! Keep your Pop! collection safe from the elements with the Funko Premium Pop! Protector for $7.99 and expand your figure collection with Pinhead from Hellraiser and Nosferatu for $9.99 each and from Tetsujin 28 we have Gigantor for $9.99. Ant Lucia's pin-up style artwork of DC Comics' Harley Quinn graces the DC Bombshells Satin Robe from Underboss and comes in two sizes: Small/Medium or Large/X-Large! Buy this robe for yourself or for the bombshell in your life! From the latest in the Guilty Gear fighting game series, 'Guilty Gear Xrd -SIGN-' comes a figure of the last boss - the Backyard's Messenger, Ramlethal Valentine. Her two giant great swords with her familiars are both included floating around her, really bringing out the atmosphere of the series in a rather large 1/8th scale figure. From the anime series 'Knights of Sidonia' comes a figma of the Garde piloted by Izana Shinatose, the Series 18 Garde! This incredible figure includes an alternate 'Heigus Particle Cannon' head part, Kabizashi spear, arm blades and a ballistic acceleration device as well as a pointed back booster part and a Gauna core. An articulated figma stand is also included. Play America's all time #1 dice game with a Tim burton's The Nightmare Before Christmas twist. Collector's Edition includes a Glow-in-th-Dark Oogie Boogie custom dice cup with movie replica dice. Here comes the Tigrex from "Monster Hunter" as a MonHunRevo figure. It is just over 8.5 inches long and is super-posable for lots of action. It also includes in-scale figures of a hunter and a Felyne, a cut tail part, an effect part, and a stand. We have Standard, Brute, and Molten Rage versions for $54.99 each. Collect all the great figures in this new wave of Avengers Infinite to build your very own Hulkbuster action figure! This new assortment includes War Machine, Marvel Now Iron Man, Vision, Dr. Strange, Blizzard, Valkyrie, and Thundra! Get the Set of 7 for $154.99 or get the Case of 8 (either version) for $159.99. Wave 05 of the RID One Step Changers line brings two new figures to the game—Patrol Mode Strongarm and Gold Armor Grimlock! 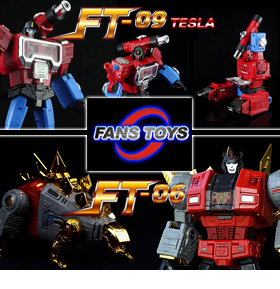 The One-Step Changers are 2-in-1 speed-changers that are fun to transform with one touch! Add the set of Strongarm and Grimlock to your collection for $29.99 or get them in the master case along with Autobot Drift, Decepticon Fracture, Bumblebee, and Ninja Mode Sideswipe for $79.99. We have a variety of new tin totes, lunchboxes, carryalls, purses, and desktop trashcans from hot properties like Star Wars, Minions Movie, Frozen, TMNT, and Monster High. The purses feature plastic bead handles and embossed artwork. 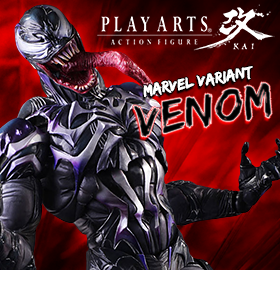 These preorders are priced between $9.99 and $28.99. These realistic 1/6 scale horses feature 15 movable articulations, real implanted mane and tail “hair”, realistic head sculpt and paint application, and a light travel saddle set. We have White or Brown in stock now. These highly detailed 4” figures come with character specific weapons accessories and are fully articulated for an advanced range of poses. From Lost Planet 2 we have Jungle Pirate, Mercenary, EX NEVEC, Vagabundo, Waysider Femme, and the GTF-13M Evax vehicle that can transform between VS mode and Bike mode! From Lost Planet 3 we have Jim Peyton and Caleb Isenberg. The figures are $20.99 each and the vehicle is $79.99. This Tokyo Toy Show 2015 exclusive Transformers Legends Black Convoy (Nemesis Prime) has a color scheme similar to the original Car Robots Black Convoy toy and animation, with teal striping and "Anti-Autobot" symbols on the shoulders. Convoy comes packed with his black sword.